Nurses who work in emergency services need to be sharp, knowledgeable and prepared to provide safe, timely, and effective patient care. To ensure emergency nurses have the skills to successfully intervene, even in the highest-pressure circumstances, it is essential they receive the appropriate education and training. Association (ENA): Emergency Nursing Orientation 2.0 (ENO) eLearning course has proven to be an integral tool in ensuring that each nurse at UK HealthCare is prepared to deliver consistent, high-quality patient care. Elsevier collaborated with ENA to develop this evidence-based, peer-reviewed course to provide the foundation for nurses who are new to emergency nursing practice and for those who may come with limited experience. With more than 30 years of experience in emergency care, Dr. Howard’s positive experience with ENO is a testament to how useful a resource it is for educating emergency nurses. Before partnering with Elsevier, UK HealthCare used paper-based training materials for their nursing orientation. This program offered content that was less effective because even with in-house assessments, progress and synthesis were difficult to track. The UK HealthCare Emergency Nursing leadership team knew they needed something better. With ENO, UK HealthCare found a product that was both flexible and reliable. Through its partnership with ENA, Elsevier is able to provide the most pertinent, foundational knowledge available. The ENO course is prescriptive, dependable and offers a baseline of knowledge for nurses, which gives administrators better insight into the competency of their staff. For an organization with academic and community emergency services serving approximately 110,000 patients a year, it is paramount that UK HealthCare’s emergency nurses are poised and prepared for anything. For newly-licensed nurses and nurses new to emergency nursing, the information they learn in a traditional classroom setting can be difficult to recall months later, especially in the midst of the stressful emergency care environment. Likewise, it can be difficult for UK HealthCare to ensure that practice is standardized, especially with nurses from varying educational and orientation backgrounds. With ENO’s evidence-based lessons, however, nurses are given the tools to succeed. This course is meant to be implemented as part of a blended-learning orientation program that may also include case studies, class- room lectures, and simulation scenarios. ENO is highly interactive and appeals to those who learn through reading content on a screen along with watching videos and animations. The program supports nurses’ existing knowledge and uses pre- and post-test assessments in addition to other tools to make the entire orientation process more engaging. Importantly, the program is framed specifically around emergency care and outcomes, which benefits new nurses as well as those with considerable background knowledge. For administrators, the ability to track progress is key for accountability and standardization. Unlike previous orientation programs, ENO allows Dr. Howard and her staff more insight into how the nurses are performing on each module. At the same time, the program’s time frame fits well into daily workflows, granting more freedom for nurses completing the program. The ability to monitor a nurse’s progress with assessments and online tracking benefits both administrators and nurses. Each are cognizant of achievements and Dr. Howard stated that both groups find the program reliable and enjoyable. She believes that the program builds confidence in her nurses and gives them the knowledge and frame of reference needed to be prepared for any situation or challenge. The lessons cover a wide-range of topics, but are also specific and targeted to the emergency nursing audience. Dr. Howard explained that she believes ENO meets the educational needs of all emergency nurses and gives every nurse an opportunity to be successful. According to Dr. Howard, ENO has made the entire orientation process more interactive, rewarding and ultimately successful. Ensuring that nurses are educationally prepared is an important aspect of staff engagement. Emergency services employee engagement scores have continued to increase over time, exceeding both the national average and those of other UK HealthCare departments. Her nurses have a deeper knowledge of emergency services and there are noticeable improvements in collaboration and comfort among staff as they complete the orientation program. Nurses with a strong educational foundation are critical for promoting positive outcomes and patient satisfaction. Dr. Howard explained that her nurses aren’t just knowledgeable, but they are also confident, and in a high-stakes emergency care setting, being ready to make a call with conviction and certainty is an invaluable trait. Dr. Howard’s experience with ENO bespeaks about how beneficial, adaptable and powerful the program is. Administrators are given the tools to better manage and support their staff, and the nurses themselves gain a targeted, interactive opportunity to build critical knowledge and skills. And as a result, patients receive the best emergency care available. The University of Kentucky (UK HealthCare) is committed to the pillars of academic health care – research, education and clinical care. 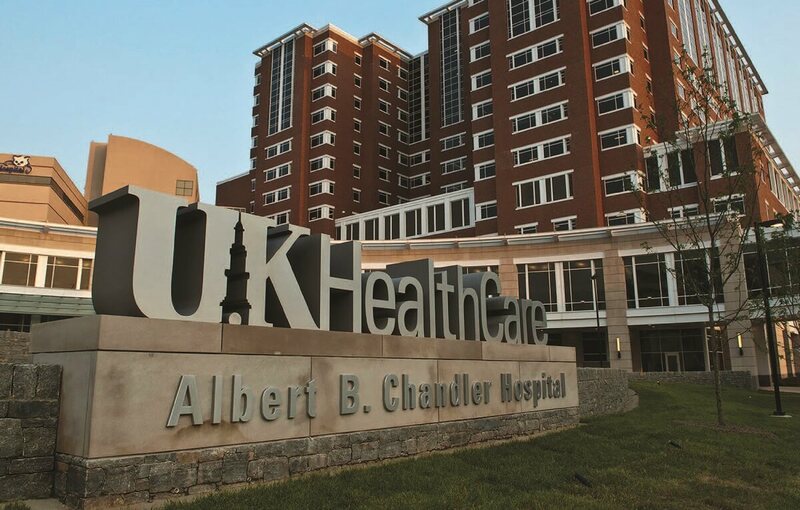 Dedicated to the health of the people of Kentucky, UK HealthCare provides the most advanced patient care and serves as an information resource. UK HealthCare strengthens local health care and improves its delivery system by partnering with community hospitals and physicians. UK HealthCare supports education and research needs by offering cutting edge services on par with the nation’s best providers.